Ziren had called on Soku to help him with this mission, mainly because it was unique. Unique in a sense that they both have met this perpetrator before. Both have thought he was dead. Ziren had done his own research before setting out to get a clear idea of what this could be. At best, an imposter, someone who once knew of Ibumo before, or at worst, a rogue Dark Sage is around. Along with the things happening outside the Walls as of late, Ziren hated to do this mission. But he knows that if this crazed scientist, claimed soul or crazed imposter, isn't found, problems will arise for the people who do not live within the safeties of the Walls. He had brought all of his weapons, save for the one he has kept secret, only for to use when they have attacked Leaf, with him. Those of which, included, his double throwing scythes, and his puppet that he has sealed up in a scroll. The other two weapons were made of his blood, that he can use at any time. If Ziren remembers correctly, this man had no promises of being a ninja and used science to be an enemy. Including that stupid eye scope of his. Ninjustu won't be effective on him, so his only other option is Taijustsu, whereas Genjustu is not his forte. Today, Ziren wore his red kimino with black stripes, a red belt held it together, he also wore black jeans as a bottom. Bloodified eyes looked to and fro, trying to see of anything he won't be able to hear, since there are other things that could catch him off guard, human puppets being the biggest of concerns. Though, Ziren doesn't think this will be the case... Hopefully. Last edited by Akane Mirai on Sun Jul 22, 2018 10:47 am, edited 1 time in total. There was barely a whistle of movement that could be heard as Soku moved within the treetops, her feautures concealed by the cat-like ANBU mask she wore over her face with a tanto blade strapped to her back. It was a interesting setup but one that allowed her to move quickly and quietly without having to worry about making unesscary noise or lugging around useless equipment that would not be needed on this assignment. The summons from her brother had been urgent but she could only imagine what could be the need for something so dire. Her Sharingan pupils easily caught the figure of Ziren not far ahead and the Santaru landed next to them, landing lightly on the grassy surface graceful and catlike in nature. "You called? "She asked almost in a quiet tone. It seemed appropiate for the current circumstances. He had a interesting garb on as well, a robe of crimson color and laden with what seemed like a arsenal of weapons. She wondered if that would hinder his movements to move as swiftly if the cirumstance should present itself. "I hope this is not as bad as I think it is. We already have enough to deal with concerning the Frost, I do not know how well the village would fare if another major threat were to pop up now of all times. "His summons had been vague but she knew it was urgent. If whatever they were dealing with a threat to Konoha, she had no problem resolving it. However, they had to quickly and effectively. After all, there were more foes out there who would want nothing more than to leave them broken and battered on the battlefield for all to see how weak the Leaf ninja were. Soku was not going to let that happen. "If this is involving anything to do with Frost, than splitting up is simply not a option here. With that said, shall we get a move on and you can explain to me on the way what we are dealing with? two possibilites spring to mind and I think you know what those are. "The grinning faces of Jirosho and Ibumo flashed across her brain. Evil..pure evil.Darkness...chaos...destruction.A breeze of cold air began to settle in giving off a dark aura before the ANBU spoke sharply and harshly speaking to something that was seemingly not there. "Quiet, Sumino, begone. I did not call for you. "There was a faint hissing sound of displeasure that could be heard barely and the brief breeze of air passed as quickly as it had come. Apparently, her contract was still getting used to having someone who did not possess such a dark persona. The man had been walking all day, he had been learning and progressing he had been developing his skills and had been progressing himself for a few moments. It now seemed that this situation had got him into a sticky situation that he had involved himself in, though the time had changed and so had the pattern. It seemed that the collection of assets was on the high and up and up something about a fight taking place with a different land, or interference happening had seen to that. Giving him the opportunity to do what he loved, no what was needed from himself. The man had used the opportunity of the clashes and little skirmishes to sneak into the places that held the secrets, the black markets and everything that he had dreamed about the chances to allow himself to push the limits, to make sure that through the troubles he had the ability to come out with the information and the equipment that he needed in order transplant eyes with a higher success rate and with a quicker extraction time. It seemed that everything had been going well. Though that would be an understatement it would be something more than booming in the profits it seemed. He had been selling the eyes to frost and making quiet a profitable side line on this. As it was clear that he had been making good money over the last week but the travel had been a killer onto the man, his body ached from the horse and he honestly just wanted a good bed to sleep in and something to drink, this path offered that exact stop in those terms that everyone could afford it was something that he could quench his thirst on and it was something he could do quickly without having to worry. The building was already coming up in his vision in those few seconds, it was clear that he had travelled a long way, but finally the stop was in sight and right now he had allowed himself to slip into a sense of ease, maybe because he had been wandering around with the thought of this place stuck in his head for so long. Getting to the door it was clear that the place was popular as noise and light eradiated from the door, his hand coming out he opened it with a small push and walked inside. With that he allowed himself a few moments to walk inside of the bar, heading straight to the desk and ordering himself a drink. As the jug came in front of him, he allowed himself to pick it up and drink from it, enjoying the sensation as the cold liquid finally hit his taste buds, it seemed that he was now relaxing with a room rented, on the very outskirts of the land of fire this would be somewhere he would not be found. Ziren heard the blood flow of his sister nearing him. He looked over as she had landed next to him and said, "Hey." He listened to what she had to say, about hoping it isn't at all that bad. "Too early to say. But it is also enough to grab my attention. I have caught word of people being experimented on. And a vague description." He went to walk on, there should be a bar in the area, might be good to check it out. Ziren then remembered that he was not in the Village anymore. If the Frost just happens to see them use the justsus and whatnot that they are most accustomed to, that would be information in the wrong hands. "If that's the case, it is safe to say that we will need to not use a whole lot of moves or justsus that we are comfortable with. For they will use that as a disadvantage against us. As for someone reanimating the dead, it might be a speculation, but with these abnormal circumstances, I think that this might be Morro Ibumo. The man that experimented on a lot of people. Who had his own very base of operations in Crater City. That is, at worst case. At best, it might be one of his scientist followers deciding to make a bold move now that the Leaf's attention is diverted." He sensed something amiss for just a second. Being a Dark Sage, he could see spirits, whether they be ghosts, angels, or demons. He thought he had seen something by Soku, but he figured it might be with her, since he caught a name. Ziren let out a sigh. They were nearing the bar, as it was coming into view. And, in a whisper, Ziren said to Soku, "It'd be best to ask around for any information. Though with how you have your attire, if anyone hostile comes across, they might run or fight, putting the other people in there at risk, if they decide to fight." It was still in the distance, but they will need to make up a plan fast. "Whatever you do, I'll follow your lead. Or you can come up with your own kind of plan and tell me of what I need to do." Ziren had faith in his sister, being a full ANBU, she is capable of handling the situation as she see fits. Then he remembered. "Oh, and by the way, I am a full on medical ninja. Leave the heals to me." I'll be able to pick the culprit out though of course, I'll need your aid. "They approached the foot of the facility and the wafting smell of drinks and food came to her. It would really help to have a Inuzuka in this situation to differniate all the odors. "Just try to mingle among the crowds and find out more info about our guy. Try not to fight unless absolutely necessary. If things do go south, try to disengage and fall back. After all, there are still innocent people in there." Nodding once to the Chigokai, Soku placed a palm on the door and pushed it open being greeted by the daily activites of the bar. "Try to act like you've been here before. Most people are generally suspicous of newcomers, besides they'll be more willing to talk to someone who's attire doesn't spell shinobi all over them. Let's meet back here in...20 minutes and see what we got? "She said in a low tone to Ziren confirming if the plan was alright. After their brief djscussion, the female headed towards the counter. No one seemed to be there except for another man who seemed to be enjoying his drink. Perhaps a converstation with him would prove fruitful in some sense. Sliding into the seat next to him, she slid across two silver coins to the vendor. "A water if you please. Extra ice. "She liked her drinks cold. Nonchalantly acting like she was reading the menu, Soku began to talk. "Quite busy, today, isn' it? "The ANBU asked hoping to get a answer out of the stranger. She was relaxed now but inside, tense as she could ever be. She and Ziren were split up but the best way to find information would be to talk to people as much as they could. If things turned south here, it would be really bad. The guy seemed like a normal enough bargoer but not all crooks stood out like a sore thumb. They were in a situation that could go south very quick. It was also risky to engage in combat here. The collateral damage would be devestating along with the safety of the other patrons. It was essential they go about this as peaceful as possible.Plans dont always go as you want them to.She thought grimly to herself. It seemed that the bar was quite busy tonight, but that was to be expected, it was a secluded place and it was often the best place to find rumours sometimes was in the establishments that offered drink, bedding and lots more fun. This is what had all of the people come in and out of it every night and just like normal it was packed once more with people wanting to do some business in one form or another, a distant traveller perhaps by each of them. The noise of merry talking about actusations was clear as groups cackled away and caught up with a past that they had long missed. Though it seemed that one woman got the attention of a few at the bar as she ordered water, something not normally considered to be used much in this place. As he turned around to get a water it was clear that most of the people that where near had lowered the voice and the line of conversation. It seemed that they were bringing it into a more fitting tone for someone that had never been seen in these parts before. Who wouldn’t do so considering what the current situation was like. With that the door opened and a figure walked into the room, the atmosphere tensed up as the bar man finished his sentence and turned with the glass of water his eyes locked straight tonto the new comer, it was clear that he was someone that instantly got the attention of those that where in the room with him. The voice came across cold as a figure sat down beside Soku. 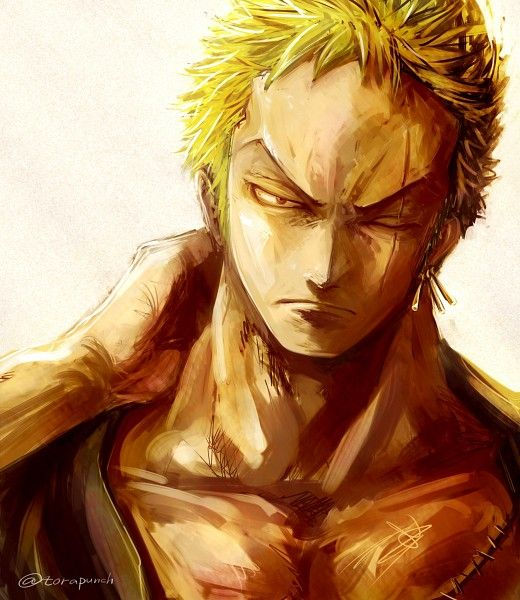 Blond roughly spiked hair that looked tidy and clean, though a scar run down his face clearly shown to everyone. Though a shirt showed various stitches and wounds, a single ear ring of three gold bars dangled from him. Grabbing a seat a glass of whiskey with ice was already in front of him before he even had to speak about it, though he allowed his hand to come out and take the glass before slowly swallowing the liquid inside, placing it down once more it got a refill, it seemed the true target of the two of them continued to stay in silence just watching how things would play out. The man seemed to be talking and getting replies from his knuckle dusters something that would have seemed odd as he took a drink from his glass again, his eyes locking onto Soku as he pondered how this would be going. Ziren didn't like that Soku was still willing to wear her ANBU attire, even after he had told her that it could bring unwanted attention. What happens next? Well... Everyone now seems to be on edge, speaking in low tones. Just from listening to the blood flow, Ziren could tell that the people here were tense. And then that's when things started to get more complicated. A man entered the bar, he was blonde, and had a scar running down his face. Ziren took note of his appearance. He had lots of scars that's for sure. Probably from past fights. And then there a gold earring the man wore. Ziren had sat himself down at a far corner of the bar, before the man made an appearance. What made matters worst was that the man sat down right next to Soku and talked to her. He knew her name, even though she had her mask on, and he knew that Ziren was here, as her partner, though, he doesn't know who Ziren is, and that could play out in his favor. Underneath the table, hand seals were being made. The first, Destiny Bond. A Chigokai justsu. Once used on the intended person, the Chigokai take on half of the damages that the person he has Bonded with, this instance, it was his sister, Soku. Not knowing the end result in these upcoming few minutes, Ziren made another hand seals, this time, a seal briefly appeared on his right arm, Medical Ward. The third and final hand seals, a ghostly head popped out of the booth right beside Ziren. "You called boss?" Anyu asked nonchalantly. Ziren put a finger up to his mouth, as if saying, shush. Then he said in a whisper, "Right now, I need you to just make yourself not noticeable and observe, be ready to help me and Soku out if things start to get out of hand." The Nara Soul looked at the mysterious man, "What have you two gotten yourselves into? I swear, if they do some kind of anti ghost stuff, I'm outta here." Anyu then proceeded to disappear, probably hiding around somewhere, in the walls or ceiling or whatnot. And now, Ziren was ready, he thinks, to join in on this "talk". He had arrived when one other person just insulted Soku, he gritted his teeth, even as the scarred man said that both Ziren and Soku were weak and won't be able to take him on. He knew what this man was doing, he wanted to get a reaction from them. Ziren knows all about that, he has used it on people, and he has had it used on him. Instead of losing his cool, Ziren ran his hand, the real one, through his hair before sitting down on the other side of Mr. Scars here. He had brought a lot of yen from his own business, with him, in case if he needed to bribe in order to get information. But it looks like he will be using a lot of it right here for what he's about to do. "Bartender? I'd like to buy everyone here one drink of their choice, each. And this man right next to me gets two drinks of his choice. As for me, I guess I'll have some whiskey too, just hit the appropriate age and still trying to find my tastes." He sure hoped that Soku knew what he was doing. She was right, fighting will not help them out on this mission, they will have to play smart, and not get themselves killed on this mission. He then turned to the man, "You found us out dude, the name is Botu. Tsuchimikado Botu." He had hoped, since the man didn't really say Ziren's name, that he doesn't really know about who he is. And if for some reason, he caught Ziren talking to a ghost, "being" a Tsuchimikado is a good cover-up. "In all honesty,we were just here to have a good time, just like these other patrons here. We would have been at a bar in town, but everything is so tense there that one just cannot have time to just relax. You know what I mean?" He then let out a yawn and said, to both Mr. Scars and other dude sitting at the bar, "So, what do you all do for a living when you are at peace? I'd like to think of everyone as humans, with their own kind of beliefs and not some kind of tool or emotionless machines." Understanding your enemy could be valuable information, something he had kind of done with Maru, who he had learned about through talking to the rogue before he had gone rogue. Soku was about to offer a reply to the bartender when the cold voice cut across her. Glancing at the offe ding man, she tensed up. Things were bad, very bad. That was not all however. The situation began to escalate as the male called her by name and he seemed to be accompanied by a set of talking knuckle dusters. A strange sight indeed. Locking eyes with the man, she noticed Ziren sliding in next to him and attempting to talk their way out. "You clearly have the wrong people. I do not know whom misled you but Botu and I were simply taking a break, there is no need for such....hostility. "She ignored the mere comment about the prosituite. He was trying to get a rise out of her. That was something that would not happen. The tension was thick in the room and all activity had ceased. Several pairs of eyes were riveted on them. "Though if you so desire, we can assist you in finding those you seek. "She was playing it by ear. It was a very risky game of cat and mouse and right now, it didn't seem to be going well at all. Silently, underneath the counter, the female's hand began to slowly warp into hand signs as she began to call upon her Youkai. There would be a brief breeze of cold air that would flow through the air and for a moment, it would seem like there was the sound of some demon laughing as her contract came into view, black in color and glaring out at the possible foes. Sumino had made her arrival and it was never a pleasant one. "You know what to do. Let me finish up talking with these fine gentlemen here. "The spirit nodded before fading away reappearing a few feet away concealed by the shadows that danced on the wall. She had revealed Sumino for a fair amount of reasons, one of them primarily being to ward off their unfriendly companion. Perhaps he would think twice before trying anything stupid. She took a sip of water, the liquid gushing down her throat as she locked eyes with the blonde man. "I must say however, it is strange to see one talk to such....items. I do wonder how that works. Perhaos you'd be willing to share? "She said casting him a false smile. It was really a attempt to gather some sort of information. It was bad enough they were attempting to lie about their names, it would prove certain death if a conflict happended here. She was trying to keep it as civil and peaceful as possible though at the moment, that was proving to be quite an ardous task. Her hand rested on the hilt of her sword just in case. She was ready to rock and roll if need be. The man laughed slightly as he listened to the words, though it seemed the true target in the bar would use this moment to keep himself hidden, keep himself out of the way and knew that it was better to not explode an already violent situation when it was needed. In that few moments he had to weigh up his options as he leaned back into the crowd once more, blending in for a few moments and deciding it was best to allow the situation to unfold and see what happens rather than just interfere right now it seemed this was the choice he had made. Watch and wait first. The man turned his attention directly to Soku as a sinister smile came across his lips, he had already judged and weighed her though he decided to speak for a bit, intrigued by the feedback that he had been given he allowed a moment to pause as he tried to remember all of the information that had been given since the first time a group had encountered her, and now here she was once more like a thorn in the side of the village that he could get rid of, as he watched the second person approach he spoke directly deciding to not beat around the bush when it was not needed any more. This time he was here and not the push over chief that she had encountered o her first trip. Leaning in he made his words blunt and direct. The man glanced over to Ziren, it seemed that he wasn’t going to assume anything and he wasn’t going to just take the hits laying down, this man seemed to be with her which by association gave him the rank inside of Leaf as well, something made his spine tingle at the opportunity that was presented here, he wondered how he could make this work to his own advantage but decided to ignore it. He was not here to engage simply have a fun little outing before things started, and that was the exact purpose of this gathering. His voice calm and not showing any emotion behind it, it seemed that they still had the oppretunity right now to make sure things went there way, though how this conversation would end was a guessing game for anyone. Ziren weighed the situation out. Mr. Scars here seems to be only focused on Soku, a grave mistake on his part, for not really regarding Ziren and blowing off his question and attempt to be friendly via buying the man an extra few drinks. Ziren realized that Soku had talked to Sumino, the Medical Ninja took a quick glance around in search of his own Nara Soul, but he seems to be good at hiding and not making himself known. It was not until a head poked out of the cieling that Ziren noticed where he was. And then the man explained who Soku was, her last rank and her being affiliated to Asuka. Inside, Ziren wanted to knock this guy out. But outside, he just ran his right hand through his hair and let out a small sigh. He didn't say anything about Ziren, so for now, he will act as Tsuchimikado Botu. "As I have said before, we are just here to have a good time, to not be in such a tense atmosphere. But it seems no matter where we go, that is how it is going to be." He took a sip of his whiskey. It left a bad taste in his mouth, honestly, why do adults drink this bad tasting stuff anyway? Then he realized. He is an adult. Ziren took a deep breath, they are at a stalemate, each threatening to blow up at any moment. The Chigokai's thoughts went to the other patrons of the bar. No doubt some are criminals, but right now their safety comes first, seeing as the real threat is the man sitting next to Ziren. "So, what do they call you? From where you are from? A person of your caliber must have some kind of nickname." Even a nickname could prove helpful. It could give them hints on what his bloodline or core ability is. Or what his kinjustu is. The way the man was built, and how much scars he has on him, Ziren can only guess that this guy is a Taijustsu fighter. An up close and personal type of dude. Like a Mr. Punchy. His thoughts went to his sister. The man seems primarily focused on her. He wants her to lash out at him. What with all of the talk he is doing. And if it was Ziren that was in that situation, he wouldn't know if he would keep a cool head, of them knowing exactly who he is and who to interrogate or hurt of someone close to him. Ziren then thought about Asuka. The man had mentioned her, basically a threat to Soku by saying they will kidnap Asuka and interrogate her. Ziren didn't like the young Uchiha's attitude as of late, but he'll be damned if anything happens to her. He certainly won't let this big freak put a hand on her. He took a deep breath. Control your emotions. He thought to himself. Don't lash out, it's best for them not to know about his capabilities until it is too late for them. The captain tensed up as the man began speaking, identifying her, rank and all. He knew her connection to Asuka? That would simply not fly. Soku had a short fuse and try as might, threatning someone she regarded as a sister was too much. It was a offence of the highest degree. The ANBU turned to make eye contact, the cold glare of the Sharingan boring into the man's soul. "I don't know what you're playing at here but I have some advice for you. You have about three seconds to start running before I stick this blade through you and crush those knuckle dusters of yours. I am not some mere lowlife beneath your boot and I am most certainly not going to be answering your questions so...scram. "She stood up her hand reaching for the blade strapped at her wist and her fingers found the hilt of the sword. The man was obviously working for the Frost, that much was clear. It didn't bother her that Zirenwas still attempting to pull off the fake act. He had clearly seen through it so that was a no-go. "On the contrary, if you would rather not get smacked down, I suggest you start talking.We have some questions for you." There was a brief hiss and her Youkai appeared beside her, claws clasped together. "What isss it you dessire, Soku-sama? "In response, the girl simply pointed at the man speaking causally. "If that lunatic over decides to make swiss cheese out of us, I want you to make quick work of him. Plain and simple. "Sumino nodded revealing a set of sharpened teeth as she grinned."Undersstood. "She hovered behind Soku ready to react to any threat. She already knew this was not going to end well. It never did with Frost. Her last encounter with them had onky winded up with them jumping her. The female caught the Chigokai's glance and gave him a warning nod. A message to drop the act. Keeping it up would only worsen the situation and she did not want this to transpire more than it had already. "So, what's it gonna be, scarface? Come with us and we can resolve this like normal people in a civil manner or option two which involves us beating you up and getting our information anyways. I dont really want to have to do that so please for your sake, cooperate. "She smiled, a devil's smile as the tension grew in the bar. There was probably more of them in here. She could not believe that he would be the only one targeting them. They were seeking to draw their attention, split them up. The Captain looked at him for a second, a thoughtful expression on her face. "There's more of you in here isn't there? I know how you people operate. "She cast a glance over the crowd and back at him. "Well, if there are, we'll find them. Now then, how do you want to do this? Peacefùlly or.....very painfully? "She and Ziren could probably take him if need be but she didnt really want to fight in a bar full of people. The man allowed himself to laugh at Soku as he listened to the words she spoke, the man also intrigued him, it seemed the man weapons vibrated with anger, though the man tried to remain calm he as well felt the pure range that was building up inside of him, he didn’t want to hurt the girl but she was making it hard to resist the urge to fight, as the snarl curled up on his lips in those few minutes as silence threatened to take over the conversation but for what purpose was yet to be decided as the man pondered his words. He allowed himself to move his neck the muscles in his neck cracking in those few moments, he allowed his eyes to come back down and focus on the lady that was in front of him, though the questions from the man seemed to intrigue him, he pondered answering the questions, considering the new few minutes would allow a fight to take place, he decided to give the man the small bit of information that he sought, deciding that there was no harm in allowing people to have something to grasp to, a small victory in their eyes but of course the man was in no mood for games. Allowing his hand to come out and take a glass of liquid he knocked it back with ease without even pausing. Waiting for an answer the man allowed the metal knuckles that he had came onto his wrists, as it alive the metal started to expand slowly crawling up his arms, as they became the well known shape of his arms. He listened to the whispers, the words slowly crawling and creeping into his mind as the blood lust came to him in a rushing sensation, how he had missed his friend, there relationship was a special one at best, and right now he wanted nothing more than to crush the girl that stood in front of him, his body slowly being turned into that shining metal colour. Soku had lost her edge when scar dude brought up Asuka. And he could tell she was ready to fight. With a sigh, Ziren got up out of his seat, not even bothering to finish drinking his beverage. He listened to the blood flow of everyone around him, but his focus was on the immediate threat before him. His muscles relaxed a bit, something that happens right before a fight. And though Ziren isn't as physically powerful, just by going by his looks, he uses that as his way of having the upper hand. Then the man chose to go the painful path, and then apologizing for never catching Ziren's name. His bloodified eyes narrowed down on the man before him. "This could have gone more easily if you hadn't threatened my sister. And no. I don't accept your apology. You and your friends threaten my family. My Village. And because of that, I will personally make sure you suffer for that. And I would never have a drink with someone like you, who makes fun of my family and thinks he can get away with it." His right hand clenched into a fist, the bones popping from the pressure. An aura filled the room. The aura of death itself. A dark sage's aura. The Chigokai bared his teeth, he hasn't felt this angry, since a long time. The man then said that his own name wasn't important. But he is known as the Trainer. Something of close to being a Head Jounin. He then asked who Ziren is. He laughed a small bit, keeping his eyes on the enemy. "You must be as blind as you are daft. A simple look in my eyes would have told you enough. As for the other things, it isn't of much matter to you." He had seen the knuckle dusters form on his hands, then slowly taking over and forming his body into a type of metal. The Chigokai let his own blood come out of his body, covering him, and hardening, making him look like some kind of sinister warrior of red armor. Blood red spikes grew every which way from his blood armored body. "Everyone! For your own safety, get out of here! Now!" He yelled it out as an order to all the bar goer's, keeping his eyes on the metal man. Pulling out the rest of the yen he had on him, he passed it to the barkeep. "To pay for the damages. Now get out!" Hopefully they all would listen, if they do fear for their lives, and not more of them are Frost shinobi. By this time, his blood armor has hardened and he made some hand seals. Zombies came out of the floor boards, and one of them took an actual form. "What? Hey! I was ghosting out like you wanted!" Ziren didn't even bother to look at his deathly pale black haired partner. "Now is not the time to argue. Get ready." She eyed him coldly as a small amount of chakra began to gather in her hand forming into what seemed to be a Chidori. "You know...I've had about enough out of you. We came here for another purpose, something I assume you would know about. I've heard rumours....stories that a certain individual has been operating in this area reanimating certain people that we know closely. You wouldn't happen to know anything about that, would you? "Her Sharingan pattern began to spin rapidly as it took on the form of the Mangekyo. Her Youkai hovered forward raising it's claws ready to strike. A fight was unavoidable now, now it was a question of who would strike first. That would be resolved rather quickly. The Santaru spoke under her breath, in a whisper that gave off a tone of coldness."Kill. "Sumino let out a shrieking howl and the Youkai charges forwards at the head jounin, her clawed hands swinging down at the man as she attempted to butcher him into tiny little cubes of flesh. The Chidori finally fully manifested in her hand and the Captain gave a nod to Ziren. "You know what to do. Let's show our friend here the way out. "He wanted the painful option, so be it then. Soku could easily arrange that for him. "We tried, we offered you options but it seems like you are intent on our destruction so allow me to demonstrate what the Hidden Leaf thinks of your pitiful actions. Pathetic they are but they are....unforgivable to say the least. "The female quickly stepped forward, the Chidori shooting out at the man. The rays of lightning arced towards him dangerously. If it hit, he would most certainly not be in a great condition."Ziren! Now! "The young ANBU leapt backward swiftly not wanting to get too close. Somehow, close combat did not seem like a wise idea with this foe. "You dare to accost us? You come into our country and threaten us? Our home? Our family?! You clearly have no idea what you're up against. You are facing some of the best damn shinobi there are out there. We have one thing keeping us together. The Will of Fire. That is how we squash bugs like you! "Reaching into her equipment pouch, the Santaru flung a kunai, a paper bomb strapped to it at the man to follow up with her other attacks. "You said you wanted pain? This is pain!Now taste it!" The man paused for a few moments as he watched the weapon coming towards him, the smirk on his face turned into something more of a frown as in a split second. The pure nerve of the woman to attack him with a low move like that infuriated him beyond belief, his hands reaching into the gloves as his body started to shift, to morph as the gloves slide onto his hands with ease. His body started to shift and change, the gloves seemed to melt onto the hands, becoming liquid as they slowly moved up the arms of the man holding them, slowly glistening up with ease as he let his eyes look at the girl. The explosion went off as the man spoke his words, slamming him into a wall with what would be something unnatural as the sound of metal smashing into brick could be heard running around the tavern. As the dust settled from the explosion the man that once sat beside them was gone, a huge impact strike into the wall could be seen by them as the man slumped there prepared himself for a few moments. His body glistened in the light as he looked direct, hauling himself up the man’s very steps shock the earth as his body replicated a liquid metallic look, a gin escaping his lips showed the now razor-sharp teeth that he possessed in sides of his mouth. He dusted off the rubble from himself as he watched around the room people scattered in horror and shock but there was a larger group that stood up and drew weapons. His voice cold as he stood there, with a single nod he watched the men leave the room, as he turned and followed them the huge bulk of metal that he had become slowly begun to face back down to his wrists as he glanced back at Soku, an almost bone chilling smile came across his lips as he looked at the table where the man had sat, it seemed the Frost had also been after the same target, the lifeless body of the man was slumped over the table, his scrolls and books stripped from him, he was the Leaf’s play thing now, they had got what they needed from the Dark Sage. They would return home and report, as leaf would not have to dig out as much information as they could from the lifeless corpse. “The medical chief will find you on the battlefield Soku of Leaf, as you are his play thing to kill”.